Want to save money on everything from eating at restaurants to shopping at grocery stores? Well, with these senior discounts you can! Below, we cover more than 100 places that provide discount rates to seniors – and the age limit for these discounts can be as low as 50! Of course, for some discounts, you’ll have to be over 55, over 60 etc., so always check the age limit with the company. Who’s eligible for Senior Discounts? Just like with stores that offer military discounts or teacher discounts, these places also have some rules for their discounts for the elderly. As we said above, the age limit for some of these discounts is 50, but to be eligible for most of them you’ll need to be over 55 and for others you’ll need to be at least 60, 62 or 65 years old. Also, a lot of these discounts are offered to members of the AARP. The AARP is a great organization for senior citizens. It provides tons of discounts, great programs and information. So, we’d highly, highly recommend joining if you want to get your hands on these savings. Plus, membership only costs $16 a year! The amount you’ll save in discounts will be much higher than that. To learn more about being a member, visit this page. First up on our list is senior discounts at restaurants. Since we all love eating out, it’s great to save when we do so. Many restaurants offer a discount, and many provide a discounted menu, specifically for seniors. Below, we’ve listed a range of eateries that provide savings to seniors. So, take a look and never pay full price for breakfast, lunch or dinner again! At Carrabba’s Italian Grill, you can get a 10% discount off your entire meal. All you need to do is show your AARP card. This offer excludes alcohol, gift cards, applicable taxes and gratuity. Carrows Restaurant has a special Golden 55 menu available. It offers discounted breakfast, lunch and dinner items to people over the age of 55 years. If you’re aged 55 years or older, then you can get a selection of discounted meals and desserts at Denny’s. The brand offers a specially priced 55+ menu. Another restaurant offering a senior menu is IHOP. If you’re 55 or older, and can show a valid photo ID, then you can save money with the 55-plus menu. Get 20% off your bill at Macayo’s Mexican Table. Just present your card to the server and you’ll get the discount. Again, this deal excludes alcohol. You can’t combine this discount with other offers or discounts either. Mystic Lake has a 55+ Breakfast Bingo offer on every Tuesday. It’s for Classic/Select club members and higher who are at least 55 years old. Perkin’s Restaurant and Bakery provides a specially priced breakfast, lunch and dinner menu to customers who are 55 years old or more. Scott’s Seafood Grill & Bar offers a Senior Club Card. With this card, you can get 20% off the price of your entrée. You’ll need to be 55 years old or more to get this discount. To get this card, you can visit Scott’s Seafood in Folsom. The Old Spaghetti Factory provides customers who are aged 55 plus, with a special senior menu. El Pollo Loco offers a 10% discount (maximum value of $1) to people who are aged 60 years of age or older. Shoney’s of Knoxville offers discounts through The Shoney’s Golden Age Club. You can join this club if you are aged 60 or older. As a member, you get a 10% discount on all regular menu items at Shoney’s of Knoxville, Inc. restaurants in Knox, Anderson, Blount, Sevier, Hamblen, Jefferson, Loudon, Roane, Campbell, and Cumberland counties. Discounts aren’t available on special menu or buffet promotions, or on holidays, and they can’t be combined with any other discount or offer. Top it Off Frozen Yogurt gives seniors 10% off every Tuesday and Wednesday. If you’re a member of the AARP, then you’ll get 10% off at Claim Jumper. This restaurant serves a range of dishes from burgers to seafood. Landry’s Seafood provides a 10% discount to members of the AARP. This discount applies to food and non-alcoholic beverages. Meriwether’s is a restaurant that specializes in fresh fish and seafood delicacies, as well as pastas, steaks sandwiches and salads. If you display your AARP membership card, you’ll get 10% off food and non-alcoholic beverages. Save 10% at Bonefish Grill if you’re an AARP member. This deal excludes alcohol, taxes and gratuity. Whether it’s a trip to the zoo or a theme park, there are plenty discounts out there that will save you money on events and recreation. The San Diego Zoo provides seniors with a 10% discount of the price of an Annual Pass membership. You’ll need to be at least 65 years old and reside in San Diego County (Zip Code range 91900-92899) to get the discount. You can only get the discount in person, and you’ll need to have a valid photo ID and verify your age. Cirque du Soleil provides seniors with a 20% discount. The USGS offers an entrance pass that gives you access to more than 2,000 Federal recreation sites, like national parks. And, what’s great about these passes is that seniors can get them at a discount. National Parks & Federal Recreational Lands Lifetime Senior Pass: This costs $80, plus a $10 handling fee. National Parks & Federal Recreational Lands Annual Senior Pass: This costs $20 per year, plus a $10 handling fee. What’s great about these passes is that not only do they allow you to visit thousands of great attractions, but they also give you extra benefits, such as a 50% discount on some amenity fees charged for things, like camping and swimming. You need to be at least 62 years old to get this discount. Dollywood doesn’t give many details about senior discounts on its website, but it does say that senior pricing is available. You can get a ticket to the Exhibit Halls for just $24, rather than $28. And, you can get tickets for the Mugar Omni Theater and the Charles Hayden Planetarium for $9 each, rather than $10. The First Art Museum in Tennessee allows seniors to pay less for admission. It does this through Senior Mondays, which is a series of events. You’ll get 50% off gallery admission, discounted parking, and a 15% discount on purchases made in the gift shop and refreshments in the First Art Museum café. The National History Museum in Los Angeles Country provides admission tickets for seniors at a discounted rate. If you are 62 years old or more, then you can get your ticket for $12, rather than for $15. Did you know that a lot of carriers will give seniors discounts on their plans? And, since the average cell phone bill is now blah a month, this discount can add up to some really big savings. So, check out the companies below, and consider switching your cell phone plan. AT&T provides AARP members with a 10% discount on the monthly service charge of qualifying wireless plans. Plus, you can get a 15% discount on eligible accessories. You get discounts online and instore. Consumer Cellular offers AARP members a 5% discount on service and usage every month. Plus, you can get a discount on select accessories. Cricket Wireless allows you to save up $20 on phones. You can get either a $20 online instant rebate or $20 mail-in rebate Cricket Visa Promotion Card. T-Mobile provides a discounted plan for seniors, called the T-Mobile ONE Unlimited 55+ plan. With this plan, customers who are 55 years old or more can get two lines for $35 per line with AutoPay. And, you also get unlimited talk, text, and LTE data. If you are at least 55 years old, then you can save up to $50 a month on your data plan from Verizon Wireless. You must also have 1 or 2 phones and a Florida billing address on your account. Whether it’s a weekend getaway or a family vacation, hotel stays can be pretty expensive. Fortunately, a lot of them offer discounts to senior citizens. So, if you want to go on vacation, consider staying at one of the following hotels. AARP members can get a 10% off discount on the resort’s Best Rate Guaranteed. You’ll just need to present your AARP club membership card and a valid ID upon check-in. Avista Resort provides a special discounted room rate to AARP members. Just present your AARP card at check-in. AARP members get a 5% discount at DoubleTree by Hilton Hotel locations. Grade Shores Ocean Resort gives AARP a special discounted room rate. La Quinta Inn and Suites provides a 10% discount to AARP members across its hotels. Request the AARP rate and present your AARP card at the check-in to get your discount. Mermaid Cottages is a selection of vacation rentals, many of them right on the beach, on Tybee Island, GA. And, Mermaid Cottages provides a 5% discount to AARP members. You just need to enter the promo code on the website. It’s valid on all cottages. The Mountaineer Casino provides a special $50 hotel rate to ONE Club Members who are 50 years old or more. This special rate is available Monday to Thursday. The Resorts of Pelican Beach gives AARP members a 15% discount on regular room rates. This special rate isn’t available online, so you’ll need to call this toll free number, (888) 735-4226. Or you can fill out a Reservation Request Form. Another hotel that gives AARP members a discount is the Tranquility Bay Resort. The hotel, which is located in Marathon, Florida, offers savings on its best available rates. You can book online or call the company’s vacation agents at 888-375-4070. Just make sure that you ask for the rate code AARP when booking. You’ll need to present your AARP member card to get this offer. Best Western Hotels & Rewards provides guests who are 55 years or older a 10% discount on room rates. The brand has more than 4,100 hotels worldwide, as well, so there are plenty of places to choose form. This discount isn’t available at all Best Western Hotels & Resorts. You can also get a free breakfast, and WI-FI. You’ll need to provide proof of your age at check-in. Castle Resorts & Hotels provides those who are 55 years old or over a 10% discount off its best available rates. There are 22 hotels and resorts across the Hawaii islands to choose from as well. If you are an AARP member, or over the age of 60 years old, then you can save up to 10% with advance reservations. To get this discount, select the “Senior/AARP” option from the special rate dropdown, or call 800-4CHOICE (800-424-6423) and ask for the Senior Rate. Extended Stay America offers a special senior rate to guests who are 55 years old or more. You can get your discount by going to the “book a room” menu, and selecting the “Seniors” option from the special rates menu. Or you can call 800-804-3724. Myrtle Beach Resort provides senior citizens with a 10% discount on daily and weekly rates. This discount applies to rented condominiums and is available to those who are at least 55 years old. The Silver Legacy Resort Casino provides a 10% discount on room rates if you are at least 55 years old. Zephyr Cove Resort offers seniors a 10% discount on its Best Available Rate. You will need to provide proof of your age at the checkout. Seniors can save 10% at Red Roof. You must be 59 plus. You need to verify your age at check in, so you’ll have to bring your ID. Crystal Mountain Michigan offers seniors at 15% discount on a variety of lodging options. You’ll need to call (855) 995-5146 to book your trip and get the discount. You’ll also need to be at least 60 years old. If you are at least 60 years old, then you can get special savings off the Best Available Rate at Day Inn Hotels. You can get this deal by booking online, or you can call 1-800-225-3297 and request the senior rate. You’ll need to present ID at the check-in to verify your age. Motel 6 provides seniors with a 10% discount. To get this deal, you need to be at least 60 years old. There are 1,400 locations available as well, so there are plenty of places to choose from. You can get the deal online by selecting the “Senior Rate” from the drop-down menu on the reservation page. Also, you can call 800-899-9841 and mention the Senior Rate discount. Peppermill Resort Reno provides people who are aged 55 with a 10% discount. You can get the discount online, or call 866.821.9996 and mention the code SENIOR. At check-in, you will need a valid ID card to prove your date of birth. If you are over 60 years old, then you can get a 10% discount at Rainer Lodging. This 10% discount applies to up to $100 off the reservation total for midweek stays – Sunday to Thursday. Seniors who are at least 60 years old can get a 10% discount off the Best Available Rate at Ramada Worldwide. You can get the discount online or you can call 1-800-854-9517 and request the senior rate. Again, you’ll need to show a valid ID at check-in. At Starwood Hotels and Resorts, you can get Senior Discount rates. You’ll need to be at least 60 years old or show a valid AARP membership to qualify for the discount. At Candlewood Suites, you can get a senior discount. You need to be at least 62 years old or have a valid membership ID of a retired persons organization. The hotel has location in more than 100 countries. If you are at least 62 years old, then you can save 15% or more at more than 4,000 Marriot hotels worldwide. You can get this deal online, or by calling toll-free 1-888-236-2427 in the U.S. and Canada and ask for the senior discount. You will need to present valid ID at check-in, which includes your date of birth. Staybridge Suites hotels provides discounts to those aged 62 or more or to those who can show a valid membership ID of a retired persons organization. It features nearly 200 locations worldwide. You can get the discount when you book online. You can get 10% off if you’re 65 years or more at the Dundee Bay Villas. Seniors can get up to 15% off at the Radisson Hotel. There are also other benefits available, such as free Wi-Fi and daily newspaper. You’ll need to be at least 65 years old and show a valid ID at check in. Another really big expense involved with travelling is the cost of flights. Flights can cost $100s. But, you don’t have to pay full price for them. Many airlines offer discounted tickets to senior citizens. American Airlines and American Eagle sometimes provide Senior Fares in some domestic markets. You’ll need to be 65 years old or more to get this special fare. To get more information, call American Airlines Reservations at 1-800-433-7300. Southwest Airlines is another airline that offers senior fares. If you are aged 65 years or more, then you could get these special fares. United Airlines offers senior fares to some travel destinations. You’ll need to be 65 years or older to get these fares. You can ask for more details on these fares when you make your reservation, or you can select the “seniors” category when you book your flight on United.com. 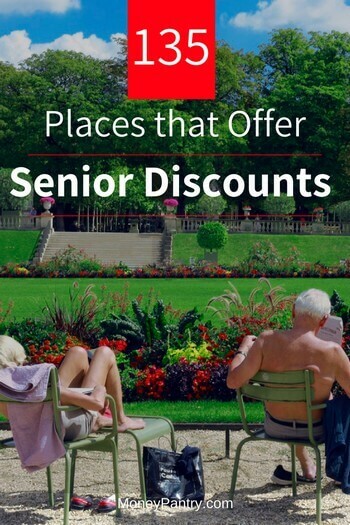 Delta states that while certain discounts, such as senior discounts are not available at Delta.com, you can contact the reservations line to enquire about Senior Discounts. British Airways provides discounts to AARP members. For example, you can get $65 off for travel in economy (World Traveller) and $200 off for travel in business class (Club World). Whether it’s a stay in a hotel, flights, or luggage fees, travelling can be expensive. Fortunately, there are plenty of brands out there that offer travel discounts to seniors. So, check these out, and save some money on your next trip. Collette Guided Travel offers tours, river cruises, rail journeys, small group tours and more across seven continents. If you’re an AARP member, then you can get access to a number of great deals. $350 per person off a tropical Costa Rica tour. $350 per person off a Pacific Northwest & California Tour. $350 per person off a New England Fall Charm Tour. $350 per person off a Best of Eastern Canada Tour. $300 per person off a Northern National Parks Tour. Up to $100 per person off Guided Tours. Grand European travel provides guided vacations and river cruises. AARP members save $100 per person. You can get his discount per person, and you’ll get a free travel gift with every purchase as well. With Vacations by Rail, you can travel by train. And, the company provides a 5% discount on its rail vacations. You can get this discount on vacations in a range of places, such as the USA, Canada, Europe, Russia, and Asia. Up to 30% off select car rentals. Up to $300 extra onboard cruise credit. No booking fees on flights. Best Price Cruises & Tours provides discounted prices to senior customers on select cruise lines. American Discount Cruises & Travel provides senior citizens with a discount. And, this discount also applies to the second passenger, if you’re travelling with one. You could get this discount if you’re 55 or older, as in the cruise industry a senior citizen is someone in this age group, but some cruise lines define a senior citizen as someone who is 60 years old. Another company offering a discount is Carnival Cruise Line. If you are aged 55 or more, then you could get a special senior rate. Grand Canyon Railway & Hotel provides members of the AARP with a 15% discount on any class of train travel. You can also get this discount on stays at the Grand Canyon Railway Hotel and RV Park, as well as 15% off the 2-night “Canyon Explorer” package. On select vacations with Liberty travel, AARP members can save up to $100 for two travelers. And the travel deposit is reduced to $50 per person. Park Ride Fly USA provides AARP members with a discount. You can get 12% off when you book airport parking at Park Ride Fly USA. You can reserve online or call 877-503-7275. Also, you get $100,000 automatic flight insurance with all reservations. You’ll need to provide the coupon code aarp12 and your AARP membership number. Royal Caribbean International provides senior rates to people who are 55 years of age or older. It’s an award-winning company that provides cruises to a variety of destinations in the Caribbean. Vacations to Go provides customers who are 55 years of age or older with a discount. What’s great about these discounts is that only one passenger per cabin must be at least 55 years old. Amtrak customers who are 65 years of age or older can get a 10% discount on most rail fares on most Amtrak trains. And, for cross-border services operated jointly by Amtrak and VIA Rail Canada, you can get a 10% senior discount if you are aged 60 and over. If you are at least 60 years old or more, then you get a 10% discount on standard adult Interrail prices with a Senior Pass. You can buy a Senior Pass if you are 60 years old or more. The discount is available for first or second class travel. If you are aged 62 or more, then you can get a 5% discount on passenger fares. You need to show a phot ID in order to verify your age. Special discounted fares are available for seniors at terminals and agencies, but not online. You can get a 15% discount off full adult fares on Peter Pan schedules, if you are at least 62 years old. The Steamship Authority provides a ferry service from the mainland Cape Cod to the islands of Martha’s Vineyard and Nantucket. If you’re 65 or older and a resident of Martha’s Vineyard, Nantucket, Barnstable or Falmouth, then you can get a discount from the Steamship Authority. You just need to apply for a Senior Citizen Travel Card. You can pick up an application at any Steamship Authority Terminal or contact Group Sales to ask for one. You can get a 10% discount off the regular adult fare at Trailways of New York. You need to be 65 to get the discount. You’ll need to present your ID. For some areas, there are restrictions and the discount is 5% instead of 10%. A quick trip to the grocery store can cost a surprising amount of money. Handily enough, there are grocery stores out there that provide some great discounts to those over a certain age. Below, we list a few of the best. My Convenient Food Mart provides a discount to people as young as 55. You get 10% off on Tuesdays, through the Senior Discount Tuesdays program. The discount is available on most products, except for gasoline, alcohol, lottery and tobacco items. Fred Meyer provides a senior discount to those who are aged at least 55 years old. You can get 10% off. Private groceries and nutrition, including Fred Meyer, Kroger, Simple Truth and more brands. Most Electronics – although there are exceptions. Fred Meyer Jewelers – again there are exceptions, so read the fine print. Hy-Vee has a club for customers aged 55 plus that can save you money. It’s called the Senior Citizen Discount Club. As a member, you get 5% savings on purchases every Wednesday when you present your Senior Citizen Discount Club Card. If you are aged 60 or more, then you can get a 5% discount every Thursday. You just need to use your VIC card, and ask the cashier about the discount. You can get the discount on all purchases, except for fuel, pharmacy, tickets and gift cards. At the Concord Food Co-Op, you can get a senior discount if you’re 62 or older. You can request a Senior Card from the store, or you can get your member card updated to indicate that you are eligible for the senior discount. You’ll get a 15% senior discount on Tuesday and Sunday every week. You can download a Senior Card application on the website, or pick up a copy from a cashier. Then, you need to complete the application and submit it in-store. The Family Market has Senior Citizen Discount Days. On a designated day per week, you get a discount if you are 62 years old or older. New Seasons Market gives seniors a discount on Wednesday. If you’re 65 or older, then you’ll get 10% off most items. Stock Yards delivers meat, like steaks, seafood and other food items. If you’re a member of the AARP, then you’ll get 20% off meat & seafood. Or, $20 off when you spend at least $79. Whether it’s pet insurance, or car insurance, as a senior, you might be entitled to some great savings. Below, we’ve listed insurance providers that offer discounts to seniors. If you are aged 50 or more, then you could save money with GEICO Insurance. Those over 50 can qualify for auto insurance discounts. Petplan Insurance offers discounts to seniors – so you can ensure that your pet is in good health, without spending a fortune! It’s an exclusive pet insurance provider for AARP members. Save up to 10% when you sign up online. Save up to 5% when you call to enroll. Get a special treat with every policy. Up to a $35 Petplan Visa Prepaid Card, to help with pet wellness expenses, such as flea/tick preventives, vaccines, and dental cleanings. Get a good insurance plan that even covers chronic and hereditary conditions. You can get a free quote from PetPlan Insurance too. At Plymouth Rock Massachusetts Auto Insurance, you can get savings on auto insurance, as well as home insurance. According to the company, AARP members in Massachusetts have saved $516 with Plymouth Rock. Prescription medication can be costly at any time, but as we age, we tend to find ourselves at the pharmacy more and more. 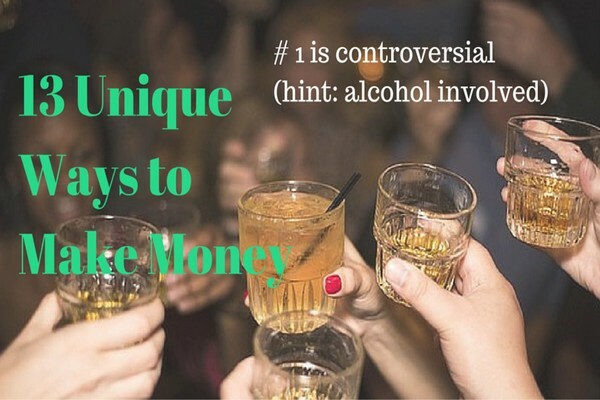 Unfortunately, this can have a bigger impact on your wallet than you’d expect. Fortunately, there are plenty of places out there where you can get a discount on prescriptions and other health and wellness items. Below, we’ve listed stores and programs that provide discounts on everything from hearing aids to glasses, and of course places where you can get a discount on prescription medication. Another great benefit of being a member of AARP is the prescription discount program that it offers. Through it, you can get exclusive discounts on prescriptions, and so can your family! This is definitely one of the biggest benefits to joining. AARP Prescription Discounts provided by OptumRx allows you, your spouse, and dependents, including children, grandchildren and stepchildren to save money on prescriptions. According to AARP, you can save an average of 61% on FDA-approved generic, brand name, or specialty drugs, which are not covered by your current prescription insurance or Medicare Part D plan. And, ideally, the program is accepted at 66,000 pharmacies in the United States and its territories. A free pharmasmart card, which is worth $5. Flu shots for just $15, rather than $19.99. Blood pressure machines for just $15, which are worth $24.99. Special discounts on diabetic supplies – up to a 90 day supply. The Discount Drug Mart gives discounts to seniors on the first Wednesday of every month, which is Senior Savings day. Seniors get 10% of their entire purchase. You just need to show your Courtesy Plus Card or valid I.D at check out. Also, you get 20% off all Discount Drug Mart brand health and beauty items and select home health care items. You need to be at least 60 years of age to qualify. Through its wellness65+ program, Rite Aid offers members of the group who are at least 65 savings. You’ll get 20% off on Wednesdays. And, you get access to other benefits, like a free pharmacist consultation. The RxFreeCard is a free discount prescription drug card. With the card, you, your family and pets can save up to 80% on pharmacy items. You can get the card for free. Just print it out and you can save. This is such as great card. Discounts on thousands of brand-name and generic medications. 5% to 20% discounts on most immunizations. 10% bonus on purchases of Walgreens Brand, W Brand, Nice! products and in-store photofinishing services. Savings on services from Take Care Clinics at select Walgreens. Savings on preventative and lifestyle medications that may not be covered by your insurance. Additional discounts on pet medications that have a human equivalent, such as compounded medications, and diabetic supplies. Better discounts on more than 700 value-priced generic items. The AARP Hearing Care Program is another great benefit to being a member of the organization. With the program, you get exclusive savings and discounts on a variety of digital hearing aids and hearing aid accessories that are available through the AARP Hearing Care Program. A 20% hearing care discount. An extra $200 off a pair of hearing aids, which is $100 off each hearing aid. A risk-free 90 day trial for all custom fit hearing aid products. A 15% discount on a range of hearing healthcare products, such as hearing aid batteries and accessories. A 3 year manufacturer warranty. A free 3 year supply of hearing aid batteries, which are worth $100. Directional microphones at no additional charge, which are worth $150 value per hearing aid. Target Optical gives AARP members $10 off the best in-store offer on a complete eyewear purchase. And, you also get $20 off, when you select Transitions Lenses. Extra 10% discount on contact lenses. Extra $10 off non-prescription sunglasses. Extra $10 off a frame-only purchase. Extra $5 off a lens only purchase. An extra 10% off a Transitions Lenses upgrade with a frame purchase. An additional $5 off if there’s an in-store offer on at the time, which is greater than the AARP discount. 15% off a lens-only or frame-only purchase. Many people are hospitalized each year when travelling, and a single transport can cost between $30,000 and $150,000, which insurance may not cover. Medjet will provide global air medical transport to its members who are more than 150 miles from home. As a Medjet member, you pay a membership fee, and you can get home, to the hospital you choose. And, AARP members get 18% off this service. Whether you need auto parts or a brand new car, there are plenty of auto stores, and car brands that provide savings to older customers. Below, we’ve listed some places where you can find these great discounts. So, the next time you need a new part for your car, or even a new vehicle, you won’t have to pay full price! If you are at least 55 years old, and you have a valid ID, then you could get a discount at Pep Boys. There’s a 10% discount on offer. So, if you’re looking for tires, parts, accessories, an oil change or repair services, check out Pep Boys, and you’ll save. AARP Roadside Assistance from Allstate allows members to save up to $10 on their first-year roadside assistance membership fees. There are four plans to choose from, which offer a variety of services, like 24-hour emergency protection, towing, flat-tire change, jump-start, battery boost, and fuel delivery. Jiffy Lube provides senior citizens a discount on its services. So, you could save money on things like car maintenance and servicing and oil changes. The discount you get varies from location to location. Do you need to visit family out of state? Or, maybe you’re looking to take a road trip along the coast. Whatever the reason, if you need to rent a car, consider one of the rental companies below. These companies provide discount car rentals to seniors. So, you don’t have to pay full price, significantly, bring your travel budget down! 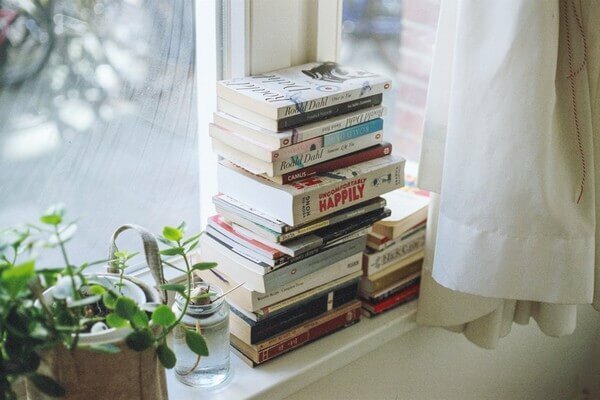 So, check out these rental places, and start saving! Almost offers savings to seniors on a wide selection of vehicles through Senior Circle program. Avis provides AARP members with up to 30% off Avis base rates. You can get this discount when you rent a vehicle from a participating location in the contiguous U.S. and Canada. You’ll also get other benefits, such as a free upgrade and unlimited mileage on most rentals. Plus, the One Additional Driver Fee is waived. If you’re a member of the AARP, then you can get up to 30% off Budget base rates when you rent a car. You’ll get this discount at participating locations in the contiguous U.S. and Canada. You can reserve online or call Budget at 1-800-733-9092. E-Z Rent a Car provides a 10% senior discount. You’ll need to be at least 50 years old to get the discount. Through its 50 Plus Discounts program, Hertz provides a 20% off base rates. You need to be at least 50 years old to qualify for the discount. Payless car rental gives AARP members a 5% discount on rentals in the U.S. and Canada. You can also get a free upgrade, and additional driver. Zipcar provides a number of savings opportunities to AARP members. You can join Zipcar for $40, plus a one-time $25 application fee, and you’ll get $40 in free driving credit. Also, each year you renew, you will get more than 40% off your membership. Auto Europe provides senior car rental rates. There’s a 5% discount on rates for people over 60 who rent their car online. Seniors can also save at the movies! Going to the movies is a lot of fun, but it’s so pricey! The average ticket price is $8, and you can pay upwards of $20 in cities like NYC. But, going to the movies doesn’t have to cost you a ton of money. Below, we’ve listed movie theaters that offer discount tickets to seniors. So, you don’t have to pay full price for a ticket, but you still get to enjoy movies! At Regal Cinemas, you can save up to 25% on movie tickets. You’ll need to be a member of the AARP to get this discount. AMC provides a senior discount to people who are at least 60 years old. You can use the theater locator to find your local theater and to see the pricing for a Senior Discount ticket. Cinemark has a Senior Day, where you can get a ticket at a discounted price. The discount is available all day, and you can get it for any showtime or movie. Showcase Cinemas provides customers who are at least 60 years old with a discount on Senior Wednesdays. Discount admission is $7.50. For Fairfield Cinemas at Bullard Square and Showcase Cinemas Bridgeport the discount admission is $6.50. And, you can also get a discount on popcorn and soda – it costs just $4.50. Paragon Theaters is another movie theater that provides special ticket rates for seniors. You need to visit your local theater’s page for specific ticket pricing. Marcus Theatre offers special ticket pricing for anyone who is at least 60 years old. They offer a Young at Heart special, which gives you a ticket for any show that starts before 5.30 p.m. for just $6.00. For 3D movies, there may be additional charges. Seniors can also get discounts or lower fees on bank accounts. Here are a few banks that provide savings to senior citizens. BB&T Bank offers customers who are aged 55 years old or more a Senior Checking Page. You just need to visit the website and choose your state to learn more about this account. The Citizens Bank allows seniors to open up a minimal fee checking account. You can learn more by calling one of the bank’s representatives at 1-877-360-2472. The US Bank provides senior citizens with a Premium Senior Checking account. With this account, you get interest, a monthly maintenance fee waiver, and additional benefits. Next up on our list are retail discounts. Now, whether it’s a gift for someone, or a new pair of shoes, shopping can be costly. That’s why in this section, we’ve listed a range of discounts that senior citizens can get from a mix of different retailers. So, check them out, and you can save money the next time that you go shopping. At 1-800-Baskets.com, you can get a 20% discount on gift baskets. And, you can also save 20% on purchases when you spend $79.99 or more. You have to be a member of AARP to get this discount. 1-800-Flowers.com provides AARP members with a 20% discount off flowers and bouquets. Or you can save $20, when you spend $79.99 or more. Plus, you can also get 20% off fruit arrangements. You can get 20% off cookies, desserts and other treats at Cheryl’s Cookies. Or, when you spend $79, you’ll get $20 off. You need to be a member of the AARP to get the discount. The Gift Card Shop provides allows seniors to save money on greeting cards and photobooks. You can save up to 50% on printed greeting cards, photobooks, and e-greetings. Plus, if you add a gift card to your purchase, then digital e-greetings are free. If you are a member of the AARP, then you can save 20% when you purchase gift baskets, chocolates, baked goods, food, wine and other items online at Harry & David. Or, if you spend $79, then you save $20. If you’re a member of the AARP, then you can get a discount on customized products, such as iPhone cases, mugs, t-shirts and wall art. You can get a 20% discount. Simply Chocolate provides AARP members with a 20% discount on online purchases of chocolate, truffles, and candies. If you spend $79, you’ll get $20 off. If you’re an AARP member, then you can get a free Tanger coupon book that contains up to $1,000 in savings offers from brand-name retailers. You’ll need to show your AARP membership card at Tanger services. If you are at least 60 years old, then you can save 15% at Kohl’s every Wednesday. You will need to have your ID with you to verify your age. You can’t use this offer with any other discount that gives you a certain percentage off the price. Castle Ink offers savings to seniors on all printer ink cartridges and laser toner from brands like Dell and Xerox. You’ll get 15% off every order that you place with Castle Ink. To get this saving, you need to be at least 55 years old to qualify for the discount. To get your discount, use the code SENIOR on the last page of the checkout process. You can’t combine this deal with any other offers. So far, we’ve covered how to get a senior discount on everything from eating out in restaurants to car insurance. But, there are plenty more things that you can save money on. In this section, we cover a mix of discounts offered to seniors. You can get 20% off at The Popcorn Factory. You need to be an AARP member to get the discount. The UPS Store offers seniors a discount. You can save up to 15% on eligible products and services. And, you can also get 5% off domestic and international UPS shipping services. The Boston Globe provides a special senior rate of $14.95 for 7-day home delivery. To get this discount, you need to be at least 65 years old. As you can see, there are so many discounts available to seniors. Now, it’s important to note that in our list, we’ve only included advertised discounts for seniors. This doesn’t mean that there aren’t more discounts out there. A lot of companies simply don’t advertise that they provide savings. That’s why we highly recommend carrying your ID with you. Then, you can simply ask at any establishment whether a discount is offered to seniors. Often, one will be, so it’s always worth asking. And, as we mentioned earlier, we’d highly recommend joining the AARP. As you can see from our list, many of these discounts are exclusively for members of the AARP. So, you’re really missing out if you don’t join. Membership is so cheap that you’ll make back the cost of it in no time. Next time you want to eat out, visit a theme park, museum, gallery or event, or want to make a purchase see if you could get a discount. Follow our list, and never pay full price for many things again! If you know of a great discount that we haven’t listed above, then make sure that you let us know in the comments section below. We also love hearing about new opportunities to save money!